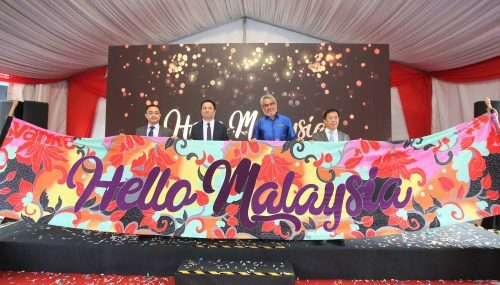 Chan Tah Seong, General Manager of S P Setia Property East (third from left) and his management team officiating the opening of the new Setia Welcome Centre in Aeropod Commercial Square, Kota Kinabalu. 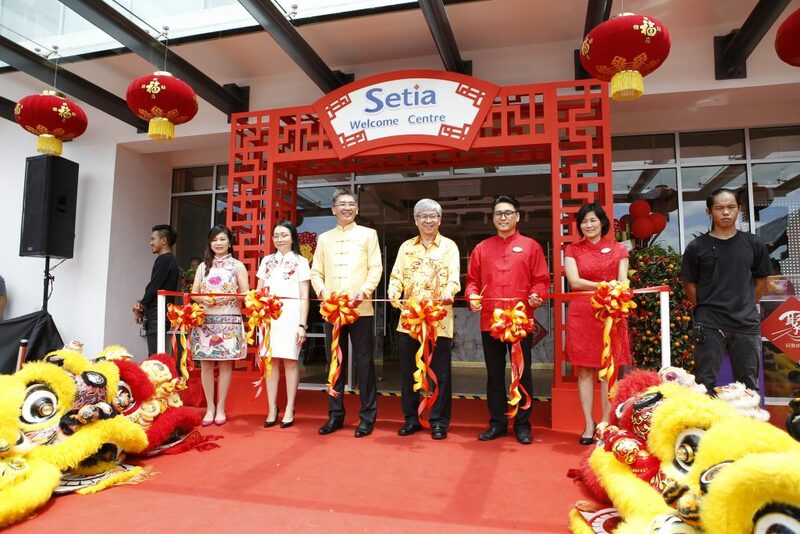 24 February, KOTA KINABALU – The new Setia Welcome Centre was unveiled in style in conjunction with the Chinese New Year celebrations this year. Many customers and guests thronged the new centre which is now located in the Aeropod Commercial Square. “The new Setia Welcome Centre features a collection of all our projects here in East Malaysia under one roof. 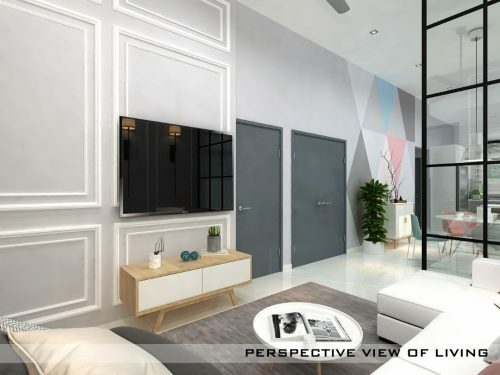 In line with S P Setia’s LiveLearnWorkPlay development philosophy, the new Setia Welcome Centre is certainly a breath of fresh air in Kota Kinabalu with its modern contemporary setting as well as its cosy ambience,” said Chan Tah Seong, S P Setia’s General Manager for Property East. The grand opening was officiated with a ribbon cutting ceremony by Chan and other senior officers. The celebration also saw many entertaining activities including a traditional lion dance performance, carnival games stalls, the appearance of the God of Fortune mascot, Chinese calligraphy by Master Huang Po Loh and art & craft sessions. Developed as the largest integrated linear city in Kota Kinabalu, Aeropod is poised to be an exceptional new-age urban destination. Spanning over 60 acres, Aeropod is strategically located just a stone’s throw away from the Kota Kinabalu International Airport (KKIA) and is S P Setia’s maiden project in East Malaysia. 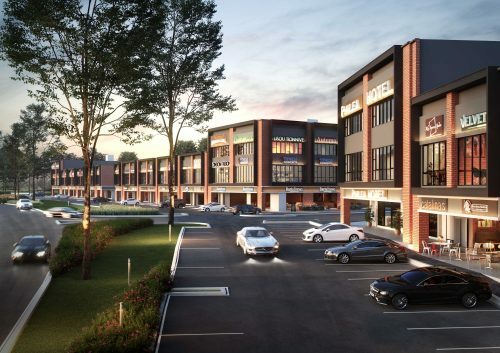 This transit oriented mixed-use development comprising the new Tanjung Aru railway station, is designed around a 24/7 lifestyle; offering luxury residences, boutique retail offices, business-class hotels, exciting retail, entertainment and leisure facilities. Both the Boutique Retail Offices and the SOVO Exchange (small-office-versatile-office) units in Phase 2a were handed over in 2017. Adapted to suit any business model, the SOVO units and the Boutique Retail Offices offer flexibility of space to define productivity. The new Setia Welcome Centre is located at Block I, Level 1, Aeropod Commercial Square at Jalan Aeropod off Jalan Kepayan. For enquiries on our projects, please call +6088 218 255 or email aeropod-sales@spsetia.com. For more information, please visit www.aeropod.com.my.